Custom refrigerated wine cabinets are the perfect complement to today’s lifestyle. As a more modern wine storage solution, custom wine cabinet design lets your wine collection become a living, breathing part of your space. Whether in dining rooms, living rooms, kitchens, or restaurants, our custom refrigerated wine cabinets offer ideal storage conditions while displaying your portfolio as the work of art that it is. Whether hosting a dinner party, enjoying a relaxing evening at home, or running a busy restaurant, the perfect bottle of wine is always within reach. 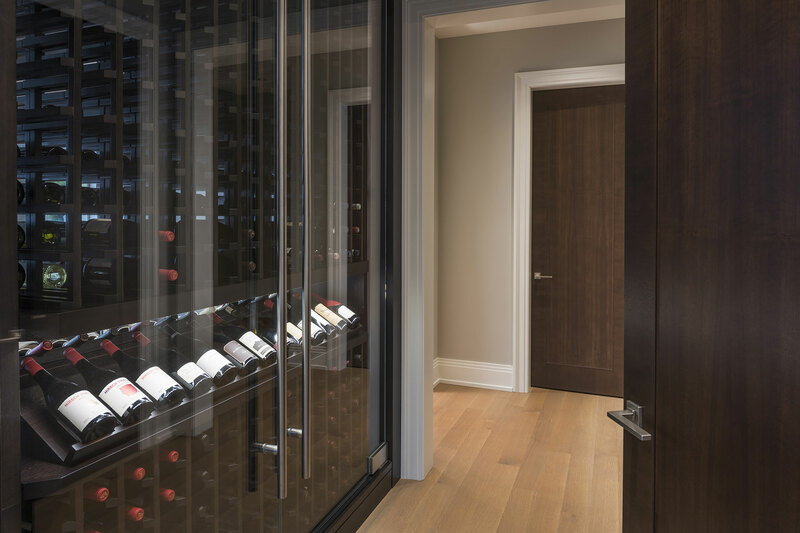 From classic to contemporary and everywhere in between, we design and build wine cabinets in a range of styles to suit any space. Specializing in American Walnut, our artisan woodworkers hand craft custom built-in wine cabinets from only the finest hardwoods. For a traditional look, hand-carved wood details and custom trims add elegance and charm. For a contemporary feel, flush designs and stainless steel accents are available. All glass or glass-paneled doors showcase your collection in its best possible light. A variety of custom finishes include paints and stains in your shade of choice. With countless customization options for design and storage, Glenview Haus will build the custom wine cabinet of your dreams. Looking for inspiration? Explore our gallery to get a taste of the countless options and styles available for both commercial refrigerated wine cabinets and custom refrigerated wine cabinets for homes. Glenview Haus offers unparalleled quality, flawless architectural design services, and seamless construction. For functional storage and stunning display that integrates into living spaces, custom refrigerated wine cabinets are also available. There's been a surge in popularity and a growing number of wine enthusiasts. It's a luxury statement that many clients are seeking. They are the height of luxury for a collector. Aging wine and cellaring is gratifying and worth showcasing in the highest end hand crafted hardwoods.